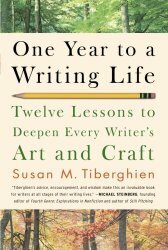 — Susan M. Tiberghien in One Year to a Writing Life: Twelve Lessons to Deepen Every Writer’s Art and Craft . This I think is true: “Once I acknowledged that I wanted to be a writer, the well within me filled with fresh creativity.” The challenge is to use the creativity that wells up. And I am so happy for you Susanne, that the well of fresh creativity wells up within you… a bit envious 🙂 but really wishing you all the best.